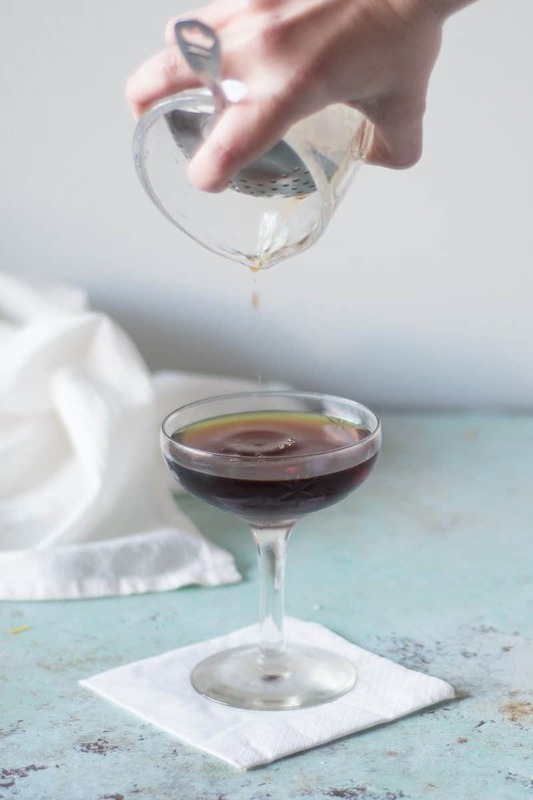 One of our favorite amaro cocktails, and, let’s be honest, one of the best cocktails of all-time, is the Negroni and the seemingly infinite variations on it. The Popinjay, a cocktail that I have to credit Dan with inventing, is a sort of variation on a variation, the Boulevardier, a richer take on the Negroni that’s become a classic in its own right. But where the Boulevardier uses bourbon instead of the traditional gin, the Popinjay swaps in Cognac for the bourbon and the fragrant, complex, herbal Cynar for the Campari, while keeping the sweet vermouth component in the form of the delightfully complex Punt e Mes. 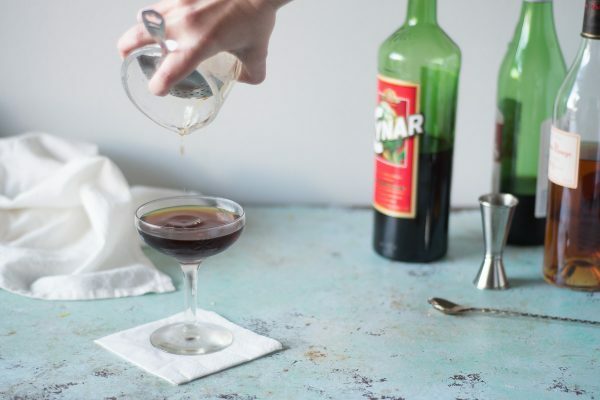 It’s a simple equal-parts stirred cocktail that uses the richness and gentle sweetness of the Cognac and Punt e Mes to temper the bitter edges of the Cynar. And it’s a combination that just works. We’ve been drinking these regularly since Dan first made one. I decided to name it the Popinjay because it’s a near-synonym for Boulevardier, and it’s a splendid word that we simply don’t have enough excuses to say. I know that bitter amari aren’t for everyone. But if you’ve acquired a taste for them you know how their lingering complexity can beguile. 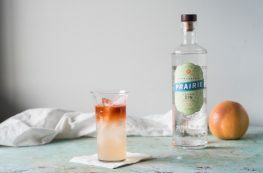 This drink is a lovely little way to celebrate that bitter complexity in a rich, smooth package. P.S. 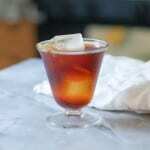 If you are looking for more ways to use that bottle of Cynar, you should try the Bitter Giuseppe. 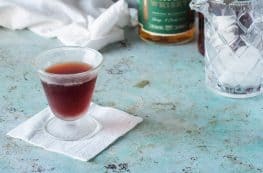 This cocktail with Cynar, Cognac, and Punt e Mes, is a riff on a Boulevardier, which itself is a riff on a classic Negroni. 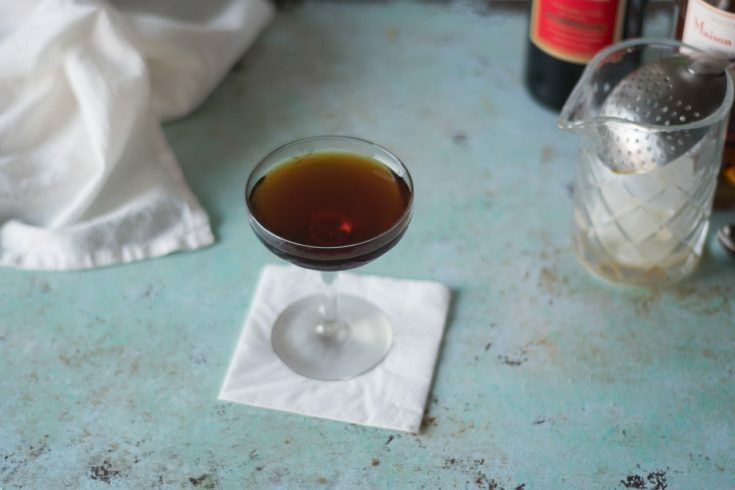 The herbal, bitter Cynar gets tamed by the rich Cognac and the sweetness of the Punt e Mes. It's a simple equal-parts cocktail for fans of amari. I like to use Maison Rouge VS for an easy to find, reasonably priced mixing Cognac (there are plenty of better sipping Cognacs but they get pricey). Chill a coupe glass. 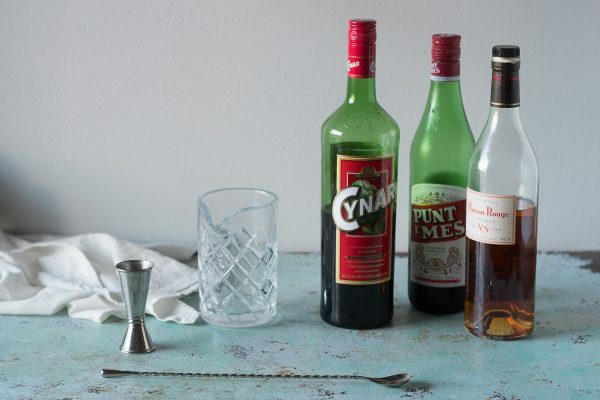 Add the Cynar, Cognac, and Punt e Mes to a mixing glass. Add ice and stir until thoroughly chilled, about 30 seconds. Strain into the chilled coupe and serve. 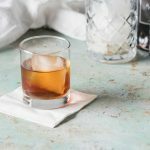 I’ve seen Cynar in the supermarket and always wondered what it was like, this sounds like a lovely cocktail! Thanks, Emily! 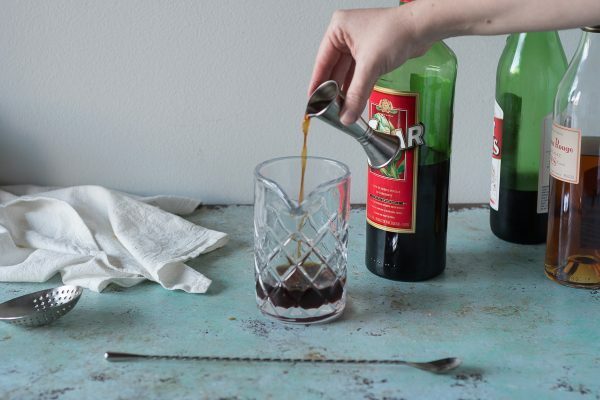 Cynar is bitter and complex and not for everyone, but those of us who love it really love it! Oh wow, doesn’t this look lovely! So delicious, love the flavors! Must try. This looks great! Just in time for weekend! Thanks, Brandi! It’s a perfect cocktail for unwinding after a long week! Sounds great and Right on time for a relaxing Friday evening! Thanks, Stephanie! I think it’s a great way to relax! I found the Bitter Giuseppe here and enjoyed it very much! 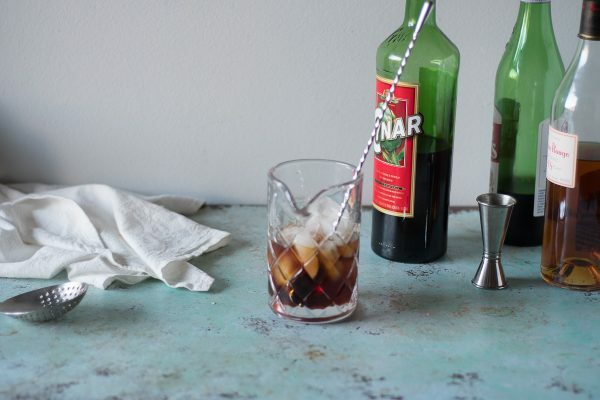 Great way to use up Cynar (which otherwise doesn’t get a ton of love). Well, this is even yummier! More complex, less sweet, with the added bonus that it lasts longer because I sip it slower. And, like the Bitter Giuseppe, it uses something that otherwise might languish on the shelf (Punt e Mes). My only thought was adding a garnish. I threw in a “Bada Bing” cherry, but I bet a Luxardo cherry or a homemade brandied one would be tasty too. Thank you so much for sharing this with the world! Erica, I’m so glad you like this! 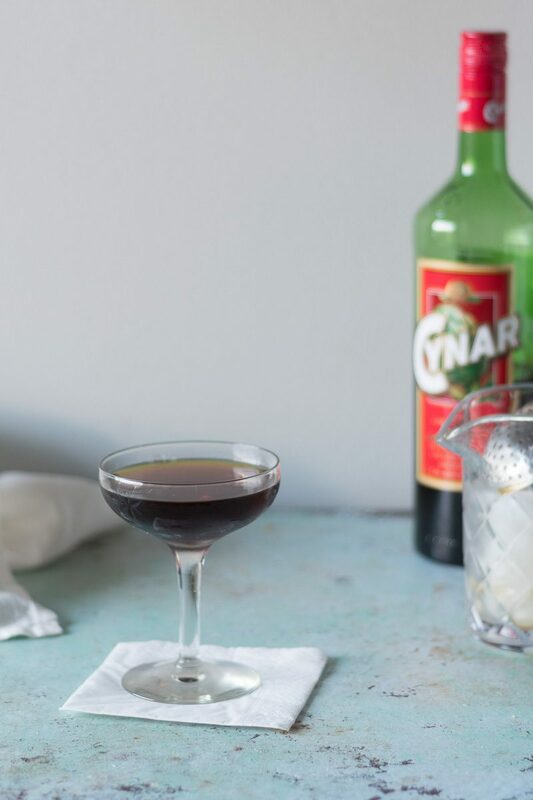 You’re right that Cynar can be underutilized. I like your garnish–a nice cocktail cherry would be lovely here. It’s also nice with an orange twist.